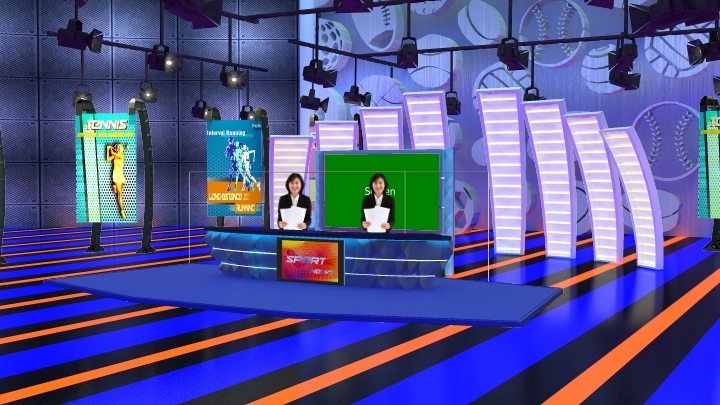 Design from the blue background and high light with orange color. 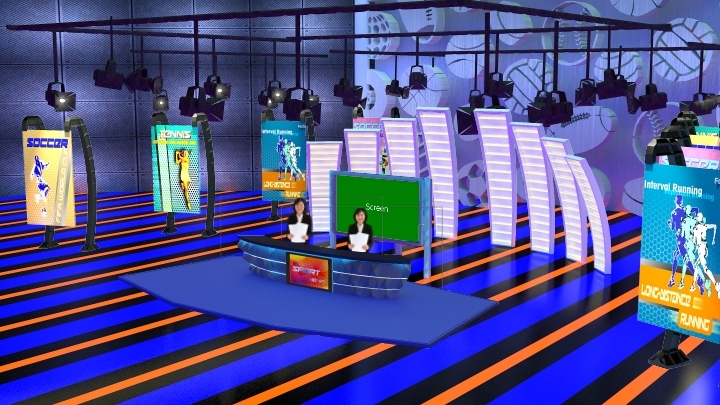 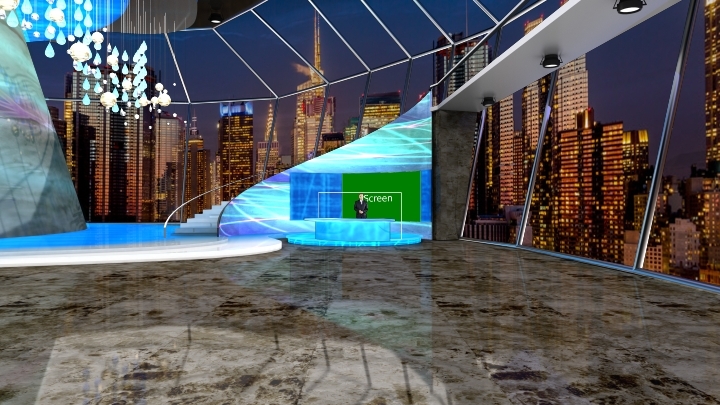 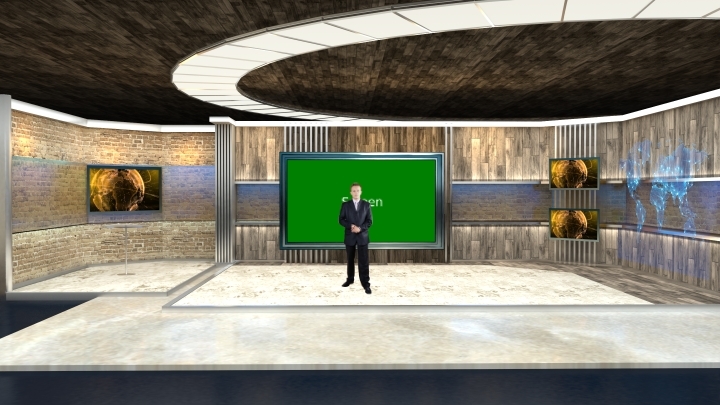 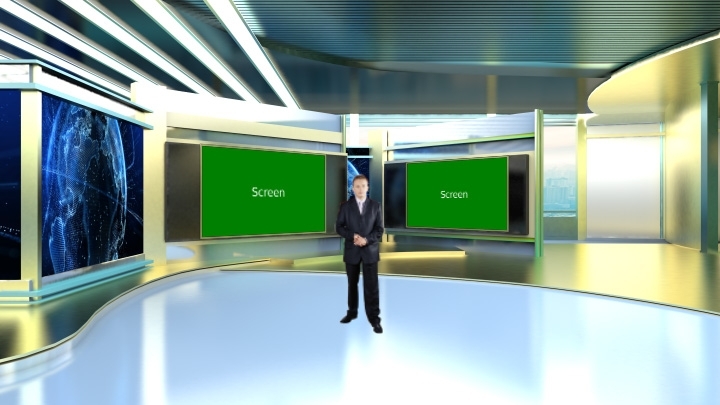 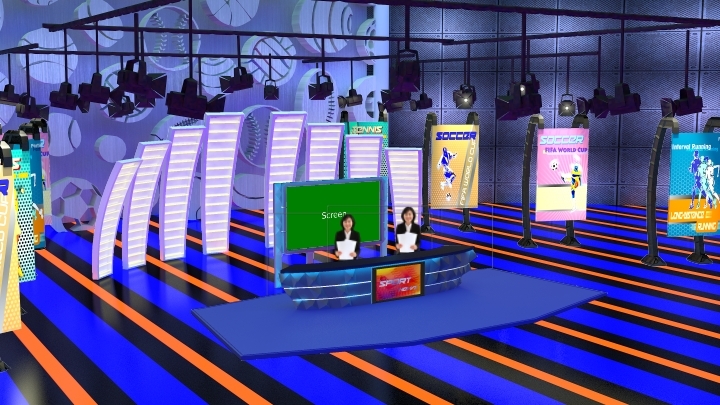 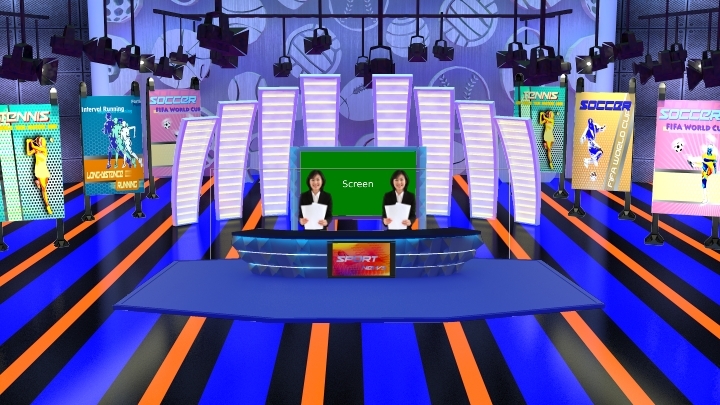 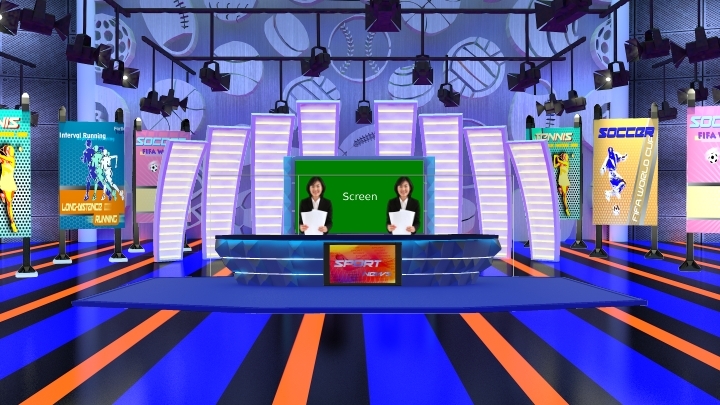 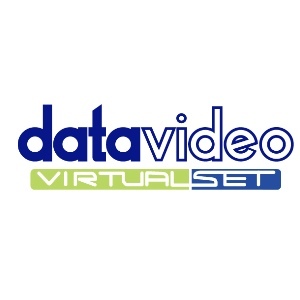 On the side of virtual set, we place many poster to decorate the virtual set, which you can replace to your poster as well. 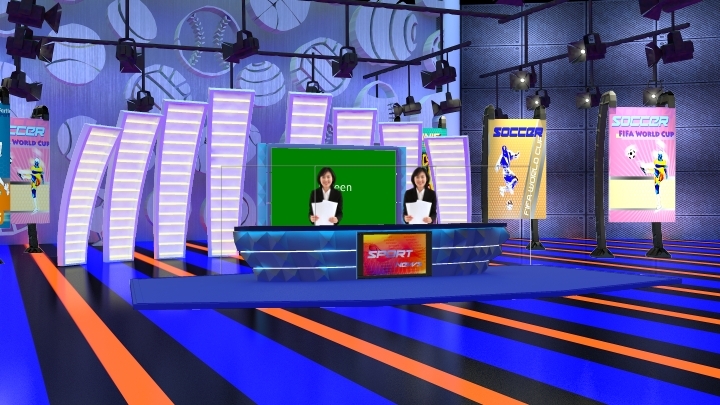 Ground design with blue, black and orange color, it makes very suitable for sport news.